The incumbent will be stationed in Kasulu, Kigoma (at UNHCR office premises) and on a day to day basis, will coordinate the implementation of Sexual and Reproductive Health and Rights (SRHR), and Violence Against Women and Children (VAWC) activities in Nyarugusu, Mtendeli and Nduta refugee camps; and in the host community. He/she will also attend all coordination/working group meetings and other critical forums where appropriate. The incumbent will be under the direct supervision of the Assistant Representative. 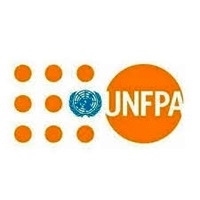 The Programme Coordinator-SRHR provides support to the country office in: providing technical assistance to implementation, monitoring and supervision of the programme in Kigoma both development and humanitarian-funded SRHR and VAWC activities. The incumbent will be guided among others, by work plans with implementing partners and the UN Kigoma Joint Programme in support of the host community, while building collaboration with the Ministry of Health, Community Development, Gender, Elderly and Children (MOHCDGEC) and other organizations working in Kigoma and in the Refugee camps, to monitor, document and report on the programme. An Advanced University Degree in public health, family health, health research, global/international health, health policy and/or management, environmental health sciences, socio-medical, health education, epidemiology or other health related sciences is required. A minimum of 5 years of professional experience in humanitarian planning and management and/or in relevant areas of health care, health emergency/humanitarian preparedness, in a developing country is required. Relevant humanitarian field experience and having worked in any UN system agency or organization is an asset. Fluency in English language of the duty station; knowledge of French or any other UN working language is an added advantage.